coaching programs for Founders & Sales leaders. The thought of doing sales causes many founders a great deal of stress. From "Where do I start?" to "How do I scale? ", the questions can pile up along with the pressure to succeed. You're not alone. Asking questions like "Is it me or is it my product?" will allow you to discover ways of experimenting with sales, using each prospect interaction as the building blocks of a repeatable process. If the process can be repeated and tested then, and only then, it is possible to scale sales beyond the founding team. Founders shouldn't have to go on this journey alone. Having mentors and coaches as well as a community of other founders around you while you "figure it out" can help you keep the pace you need while you experiment. One-on-One coaching session for a founder in Turkey's Innogate Accelerator. If you find yourself looking at sales with a squint, trying to see in the dark, we're here to help. We help founders see in the dark when it comes to sales strategy and process. Typically, our clients are in search of a repeatable sales process to overcome their first major revenue milestone. We work one-on-one with our founders through coaching sessions and workshops to not just address one-time issues, but to provide ongoing support as the founder scales their organization. Once a founder decides they want to make a change and get a hold of sales, we get working right away with the coaching sessions. Additionally we find that starting with a deep dive sales-assessment helps everyone get on the same page to the opportunities and strengths of the current sales function. 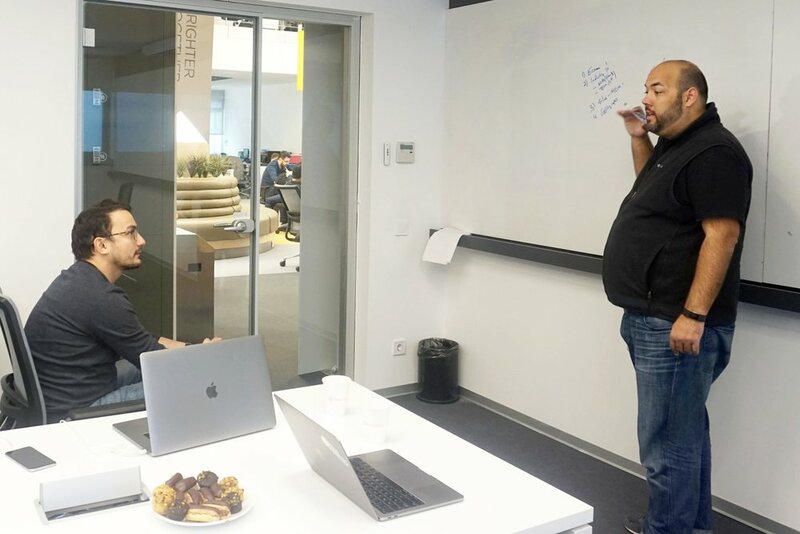 We also offer a few workshops for founding teams who want to go deep together on one of the following topics: Sales Process, Hiring a Team, Customer Success, Communicating Value and Reverse Engineering the Perfect Customer Profile. Custom workshops can be developed upon request. 2018 Sales Kickoff Keynote for a "unicorn" startup in San Francisco. Whether you're a sales leader in search of ways to up your own game or an executive seeking additional support for your team, we can help. We've coached sales managers and leaders at enterprises of all sizes, both public and private. For your team, we'll start with a customized workshop and then dive into a coaching cadence that works for you. J. Ryan is a San Francisco based executive coach who coaches leaders of some of the fastest growing companies and startups backed by the top accelerators including Y-Combinator and 500 Startups. Having spent the past 9 years building awesome B2B sales teams and perfecting go-to-market strategies for startups, it is only natural that Ryan's passion is helping founders go-to-market. While he has closed millions personally, he is most proud of building great teams. Over the past 5 years, he’s hired more than 200 sales reps for startups in industries ranging from advertising to hospitality software. In the process, his sales teams have brought in more than $150M for companies such as AdRoll, LeadGenius and InVisionApp. 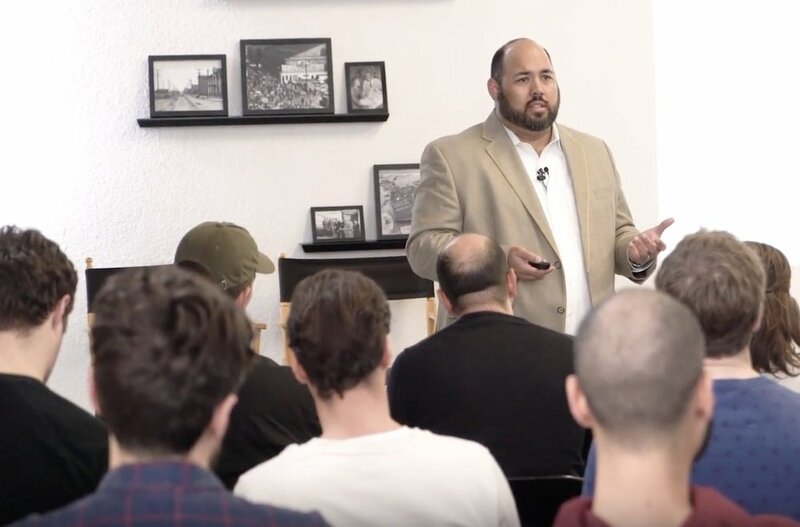 Ryan uses his corporate training and education background to teach proven sales methods to founders who are ready to start selling their product. He holds a Master's Degree in Organizational Administration from The University of Chicago. Greg is a project manager and business analyst at SalesCollider, where he supports early-stage companies and their go-to-market strategy through consulting and events. Since joining SalesCollider, Greg has helped dozens of companies plan their sales process and analyze their operational procedures. He’s especially passionate about startups having clean revenue data. At SalesCollider workshops, you’ll find Greg working with groups of founders to do everything from identifying their ideal customer and planning their sales process to identifying hiring challenges and analyzing customers ripe for account growth. Greg is an alum of the Haas School of Business at University of California, Berkeley. When you're struggling with sales, it helps to have people around you that you can ask, "Hey, what did you do about x?". Well, SalesCollider exists for this very purpose. Our events combine intimate group discussions with other founders and presentations by best-in-class mentors who've been there and done that. For a founding team who wants to start their sales on the right foot, our workshops are the best place to start. We organize the content around building a Revenue Roadmap for your company so that every participant leave with a structured plan to start selling the next day. 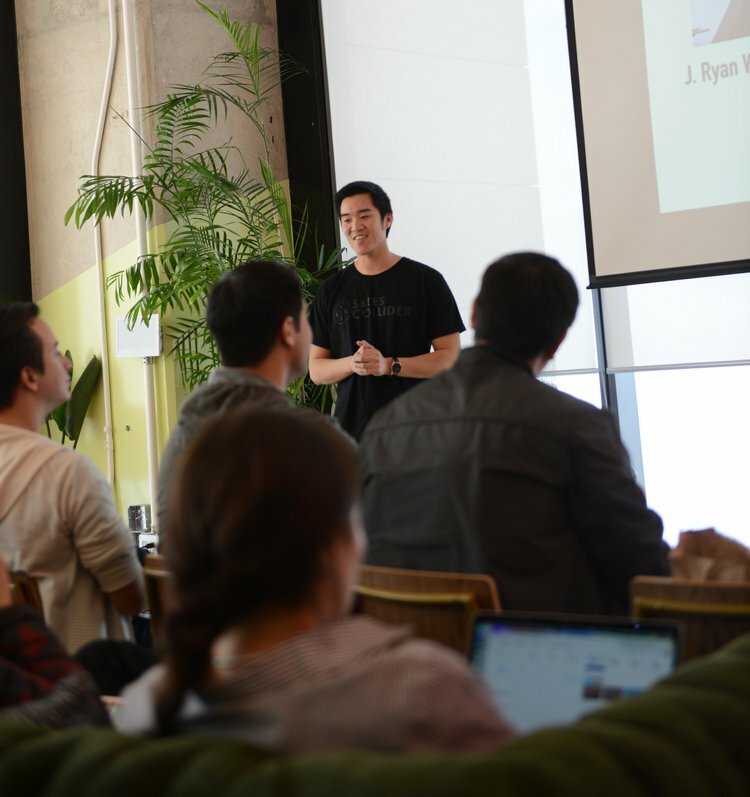 During the program, participants take a deep dive into additional key concepts (such as hiring, managing teams and analyzing advanced metrics) with mentors and sales leaders from top Silicon Valley companies. Learn about our recent program in Singapore here. Meetups are where it all started for us. In 2014, a group of 20 founders gathered to hear a PM-turned-VC discuss selling the first ad on Twitter and to learn about the hiring process Ryan developed at AdRoll (where he built a 32-person team in 8 months). Typically, our events include a fireside chat with a prominent VC and a top-tier mentor. The VC discusses what they look for in early-stage companies and the mentor shares what they've learned from their experience in the field. Ryan's passion comes through clearly as a conference speaker and workshop facilitator. Seeing these opportunities as a way to have an impact on a broader audience, he takes the content of these talks very seriously. In 2017 and 2018, Ryan spoke at ten startup accelerators (and counting) in Silicon Valley and eight countries including Singapore, Argentina, Italy and Japan. For a list of recent talks, check out Ryan's bio page. Connect with us to request J. Ryan Williams to speak at your next conference or event. If you want to ask a revenue leader how they did things back at Box when no one had ever heard of Box, you'll want to talk to Doug or Whitney. When you want to learn how to hire salespeople who can sell to developers, you need to learn from Annelies who does this every day at Mode Analytics. Regardless of what topic is on your mind, our mentors and event speakers have been down that road before and are happy to share the ups and downs of their journey. Here are a few of the mentors and event speakers from recent events because the amount of talent on the whole list would stun you. As Director of Sales & Account Management for Mode Analytics, Annelies is no stranger to strategy, process and execution. Her team is responsible for all revenue-generating channels within a quickly growing data analytics company. 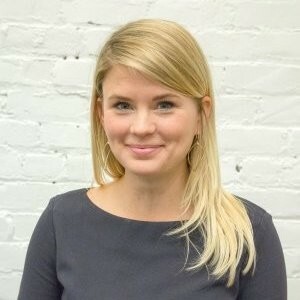 Previously, she led B2B sales and account management teams at AdRoll. Whitney Bouck, COO at HelloSign, is no stranger to B2B sales and marketing. She has over 25 years experience as an enterprise software executive, most notably as the SVP of Marketing and GM of Enterprise for Box Inc. Additionally, Whitney serves as a startup advisor to early-stage companies and VCs such as YCombinator and Bee Partners. Follow Whit on LinkedIn. 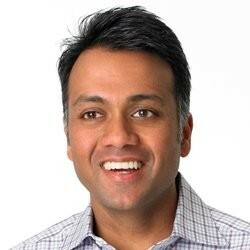 A 2012 and 2013 member of the Forbes Midas List of Top 100 VC Investors, Ajay currently leads the west coast office for Bain Capital. There, he invests in early-stage software companies. Ajay’s experience as an operator includes serving as SVP of Sales and Marketing during Trilogy's scale to over $300M in revenue. follow Ajay on LinkedIn. If you want to take your company from the startup level to the top of the industry, you’re going to need a winning sales culture. Here are some tips on building one. As the VP of Inside Sales at PatientPop, Kevin Dorsey has made a name for himself as one of the top sales professionals in the tech industry. He joins us to talk about sales scripts, cold calls, and how any good seller can become great. A lot of founders are terrified of pitching. However, a strong sales pitch is crucial in every step of business. Here are some tips on pitching in a way that will get people to return your calls and answer your emails.